This is a rectangular Bisto porcelain sign. 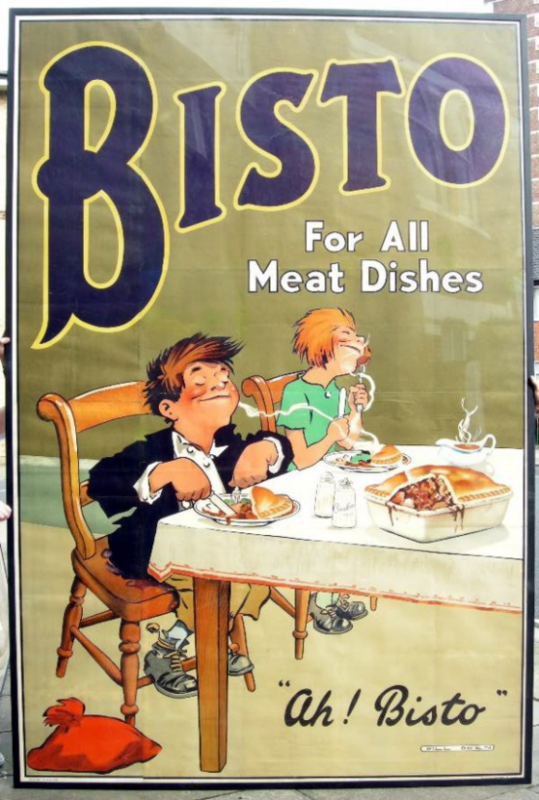 This particular Bisto sign features two children enjoying Bisto pot pies at a table against a green background. It reads, “Bisto, For All Meat Dishes, Ah! Bisto” and is very colorful.